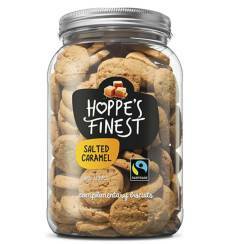 Through Naturally Delicious, Hoppe introduces a new approach to delicious. 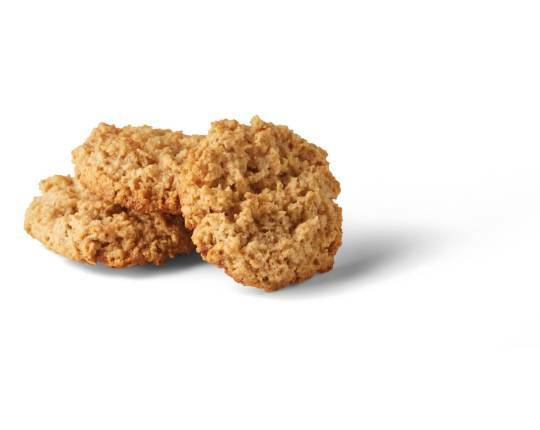 These biscuits are made of natural ingredients, such as 100% oats, 100% sunflower oil. They are sweetened with honey and cane sugar. A wonderful treat to accompany coffee and tea, with 30% less fat and 40% less sugar than traditional biscuits. 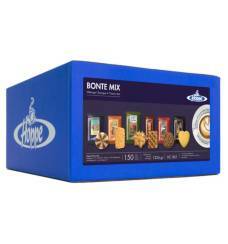 This mix is available in four different flavours, in a modern, attractive, matte wrapping, appropriate for modern times. Sensible and delicious, based entirely on natural ingredients. 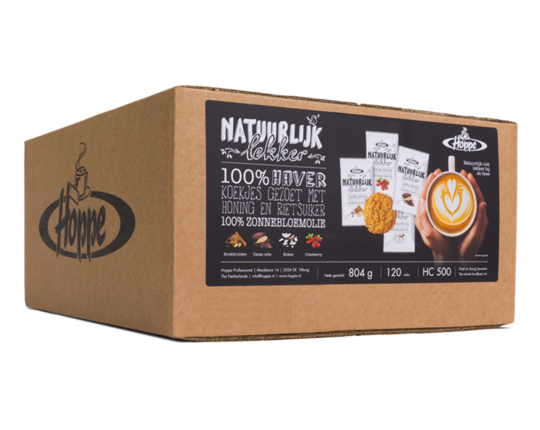 Hygienically packaged in a trendy sleeve for a contemporary presentation of coffee and tea. A delicious yet sensible treat for guests. Four delicious flavours in a mix: Biscuit spices, cacao nibs, coconut and cranberry.